Featuring the films of Gerhard Salomon, this new 55 minute DVD presentation is narrated (with music) and focuses exclusively on the operations of the Lehigh Valley Transit Company’s Easton Line from 1947 to 1949. A wide variety of equipment and locations are showcased along the line from Allentown to Easton. Footage from the last day of public service and other special operations is included. The Rockhill Trolley Museum is pleased to present a new DVD for your collection! Step back in time and enjoy 57 minutes of color footage Gerhard captured from 1947 to 1951 and never before released. 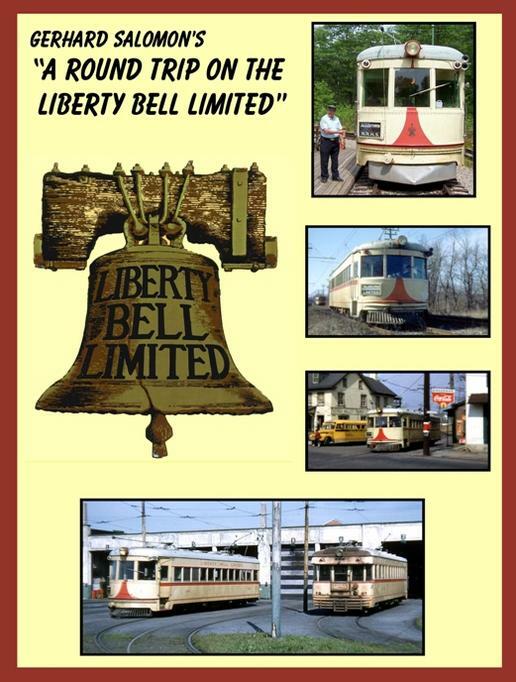 The disk is narrated (with music) and covers Lehigh Valley Transit Company’s entire Liberty Bell Line from Downtown Allentown to Philadelphia’s 69th Street Terminal.